How can I change columns? Learn how to customize and sort reports by adding or changing columns. To customize metrics shown in your report, click on the gear icon at the top of the page. There you can select any metrics you want to see in your report. You can also Search Columns to quickly find needed columns. 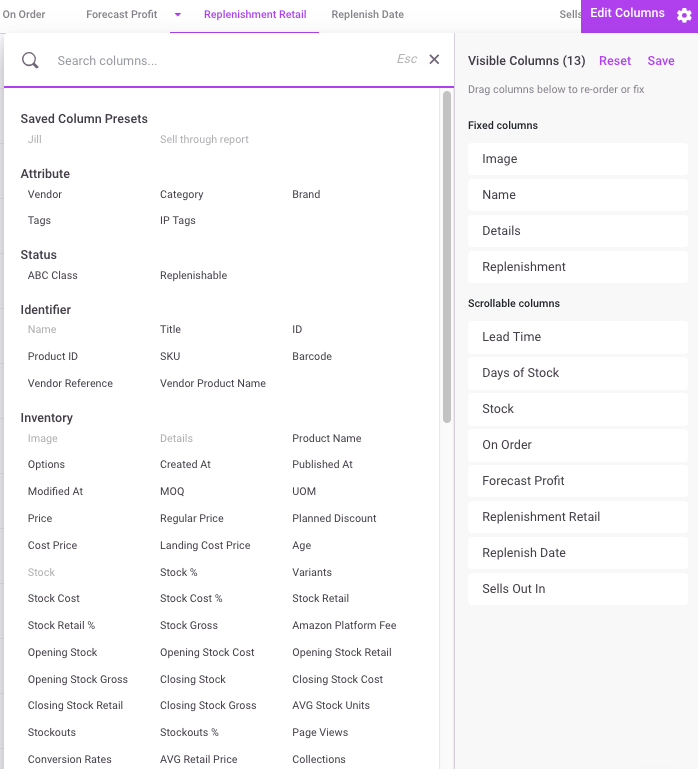 Arrange your report in any order by dragging and dropping columns. and name your layout at the bottom of the pop-up. 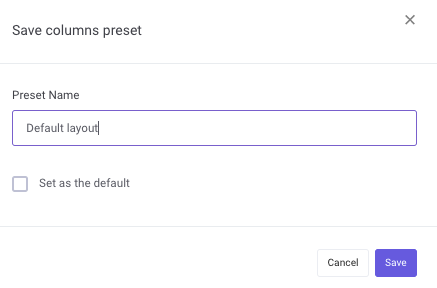 Here you also have the option to set this layout as your default. Hit Save to apply this to the report. To see which column is sorting the report, look for the arrow next to a column title. In the example below, the order of data in Replenishment Retail dictates the arrangement of the report. To change the column and sorting, click on another column name. If the column is ascending but you’d like descending, click the column title again.